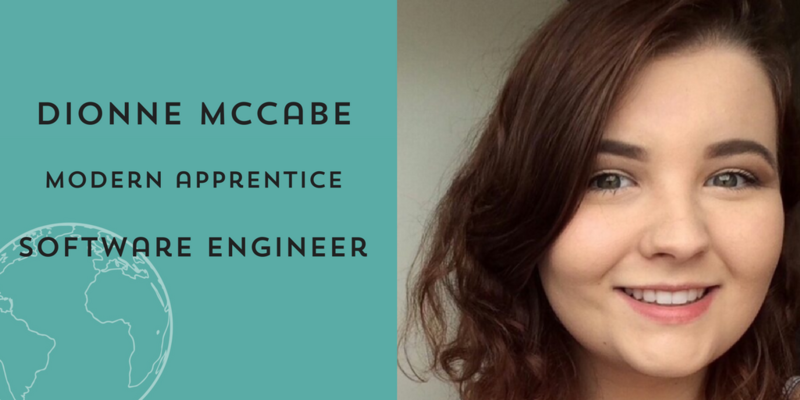 Dionne explains what it’s really like to be an apprentice working in software engineering, the best bits about her role and what advice she’d give to others thinking about starting an apprenticeship. I’m an apprentice Software Engineer working at the Royal Bank of Scotland (RBS). I’ve always had an interest in technology and knew that I wanted a role in the industry. Technology is constantly changing and evolving with new innovations appearing all the time, and this is what attracted me to a career in tech. I applied for a Modern Apprenticeship through IT apprenticeship company QA. After an initial online application, I was invited to a first interview with QA and was quickly offered an interview with RBS. Like anyone going for their first job interview, I was a little nervous, but I needn’t have worried as I was offered the apprenticeship. When I started at RBS, I was given the opportunity to try out different roles within the IT department to help me decide what kind of job I would like my training to focus on. Currently, I’m working on both resources management and software development based tasks. There are so many different things that I love about my role. Being able to help people resolve their IT issues is definitely satisfying. I enjoy being able to work closely with my colleagues to fix and resolve issues. Every issue is different so I'm constantly learning new solutions and developing my skill set and knowledge. For me, the role has opened up so many different opportunities and most importantly; I have met some great people along the way. I would say that if you're thinking about an apprenticeship in tech, go for it, 100%. If you have an interest in technology then pursue it. It’s not what you think. Some people think it’s staring at spreadsheets all day or fixing printers but it’s not. Whether you're interested in coding, designing, gaming or building hardware, there are so many job opportunities to choose from. Look out for more stories like Dionne’s on our blog. If you’d like more information on apprenticeships or to search and apply for vacancies check out Apprenticeships.scot.